John Frederick Summersbee was born in Chipping Norton, Oxfordshire in 1911. His parents were Stephen John and Hilda Summersbee who moved to 2 Rooks Lane, Thame after his birth. On 1st January 1938 he married Alice E Thomlinson of Scotsgrove, Oxfordshire and they lived at 63 Chinnor Road, Thame. 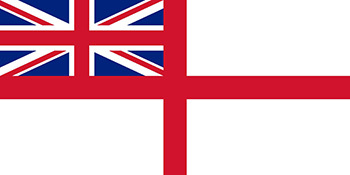 Affectionately known to all his friends as ‘Jack’, he joined the Royal Navy in 1926 and for the last three years was in the submarine service. In July 1939 he joined ‘Thistle’ at Barrow in Furness on completion of her trials and served as her Second Coxswain, and was shortly due for further promotion to Torpedo Coxswain. On 9th April 1940 HMS Thistle first spotted U­4 at 17:05 off the Norwegian coast and fired four torpedoes none of which hit. At 02:13 on 10th April, U­4 surprised HMS Thistle on the surface near Skudenes, Norway and fired torpedoes, sinking the submarine. All on board were lost. 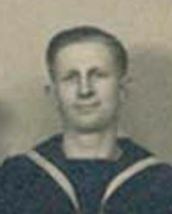 P/JX 128645 Petty Officer John Frederick Summersbee Royal Navy HMSub Thistle “N24” died on 10th April 1940. 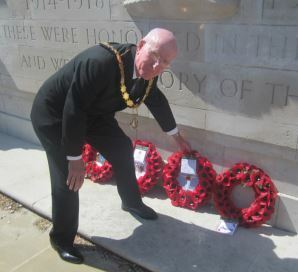 He is remembered on the Portsmouth Naval Memorial and in Thame he is remembered on the war memorial and on St Mary’s church memorial board.